Gifted children and their parents often become disillusioned with a school program that promises top creative and STEM classes, but often just force the kids to do more work rather than more intense studies. Could homeschooling gifted children be the answer? Homeschooling gifted children involves creativity and stamina. A place for families who want to homeschool gifted children for academic reasons or who are already homeschooling talented students. 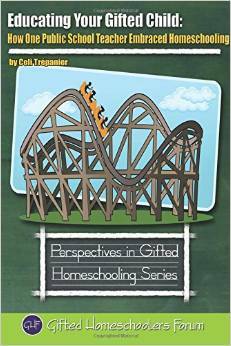 Here you will find ideas about how you might homeschool your gifted student. Most homeschool organizations do not recognize giftedness, and school-based gifted programs are generally not geared for aiding the homeschooler. Supports those homeschooling gifted children everywhere around the world. Of course, there is no cookie-cutter homeschooling method that works with all gifted children, because they all have their own individual needs. One of the advantages of homeschooling is flexibility, which makes accommodating those needs easier than seeking adjustments within a standard school structure. An email message, printed with permission, outlines the homeschooling approach undertaken by one American parent with gifted children. From the Australian site: Gifted and Talented Children. Homeschooling can offer increased flexibility and academic challenge. Flexibility is particularly important since many talented students are uneven in their abilities. Author: Jacque Ensign – ERIC EC Digest #E543 Feb 1998. Homeschooling parents know that choosing the curriculum is only the beginning. Even with the perfect curriculum, there are often adjustments that need to be made for the gifted child. By Jean Soyke, Demme Learning, 2015. How Do I Homeschool My Gifted Child? As with anything regarding a bright child, homeschooling is more…everything! It is more fascinating, more frustrating, more exciting, more exhausting, and can be more expensive. While each situation is unique, some issues are common among such homeschoolers. By Tiffany Tan. Many vey bright children sit in the classroom the way big cats sit in their cages, dull-eyed and silent. Some, unable to resist the urge from inside even though they can’t exercise it, pace the bars, snarl and lash out at their keepers, or throw themselves against the bars until they do themselves damage. Outline of one way to provide expert instruction for your curious child. Extensive list of fun things to do with your bright child. From the Queensland Association for Gifted & Talented Children. Still others believe that the best approach is to take their child’s education into their own hands whether through homeschooling or by otherwise providing a stimulating learning environment outside of regular classroom.